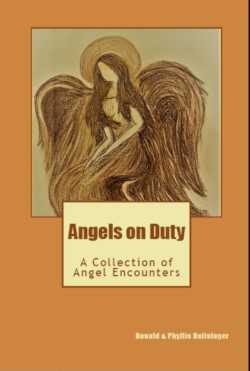 "Angels on Duty" is a collection of encounters with angels in Michigan, Tennessee, and Florida compiled by Ron and Phyllis Dolislager. Knoxville, TN, February 23, 2018 --(PR.com)-- This is a variety of true stories involving divine assistance by someone, who at the time appeared to be just a kind, helpful person, who happened to be in the right place at the right time. But in retrospect they could not have been an ordinary human being. Perhaps, the one bringing timely help...was an angel, or some other kind of divine assistance. Encounters include: an angel scaring off a shooter, an angel buying tickets to the fair, an angel providing help on a small barrier island off South Carolina, an electrocution while installing an air conditioner, a handicap person’s car in the ditch, protection on icy roads, a trucker on I-75 forcing a car to the side of the road and asking how he could pray for him, and more stories. Phyllis says: It was important to me to collect these stories. I’d had an angel encounter as I stayed in a rustic cabin at Norris Dam State Park, TN in 2000 while working on my best-selling book, Lessons Learned on the Farm. My husband and I had three encounters in 2016. After I wrote about them, a friend encouraged me to gather similar stories from others for a book. Phyllis Porter Dolislager has 10 books published. If you’d like more information about "Angels on Duty" or to schedule an interview with Phyllis, please contact her at 561-370-3888 or 865-809-7870, or email her at byphyllis@dolislager.com. "This book is absolutely wonderful. The stories are true and I know some of the people personally. You will laugh and cry and stare in wonder as you read the encounters with the heavenly beings we call angels. This book is Excellent!" "It is always encouraging to read of personal encounters with the divine. This is a collection of current stories that will bless you in your daily walk. This would make a great gift for someone going through a difficult time in their life." "A delightful read, if there was any doubt in anyone's mind about the presence of angels in our lives, this book will reinforce how closely we are watched over and protected all the time!! Recommended reading for everyone."